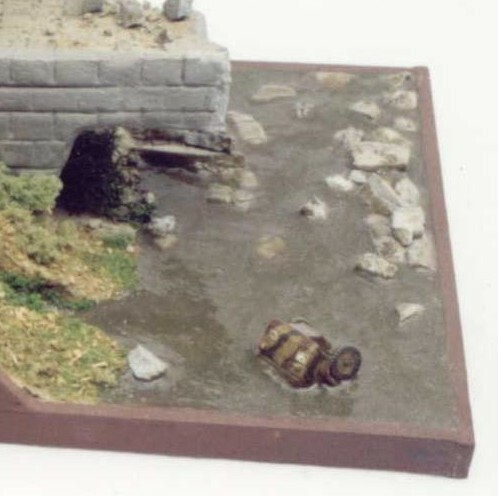 Do you also like dioramas with rivers, streams, lakes or just with slops? I like such dioramas very much because the water gets them livelier in my opinion. Anyway, back why started about this theme. I would like to inform how I make the water sheets on my dioramas. I’ll not describe my long way of looking for the best material for my waters. I can straight tell you that the best for this purpose is the clear two-par epoxy resin in my opinion. I prefer myself using the epoxy resin getting stiff in 30 minute. Why? You will understand it later. First I finish complete diorama base including the spreading and then I take care about the places where should be the water sheet later. I paint the future ground in required color (green-brown usually). When the paint is really dry I start to apply the prepared mixture epoxy resin. I usually add a little of synthetic paint (lighter than used for ground) into one of the parts of the epoxy resin before mixing because the absolutely clear water is unusual. I have about 20 minutes when the epoxy resin mixture is getting stiff to make some waves atc. 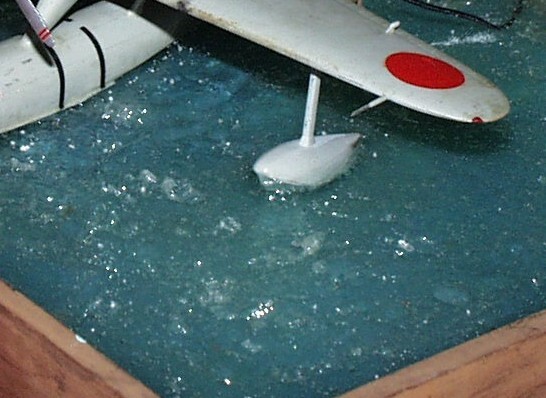 on water surface. The slice, wooden stick or wire is the best for this purpose. When the epoxy resin mixture is rely stiff I can paint the crests of waves and lumpy water with little of white paint. Finally I can also spray all surface of water with gloss varnish to get better physique of level. 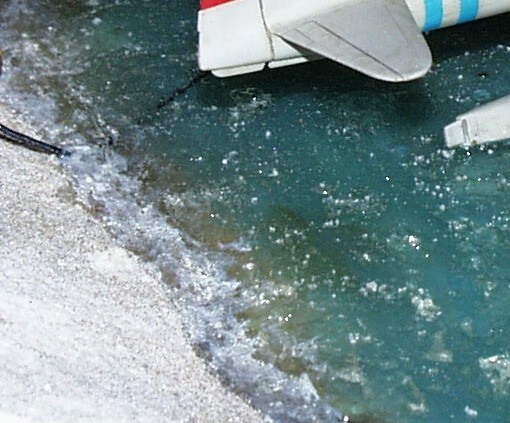 There is no problem to dip some kit or any other object into water using this material. I just stick this object on the water ground and than pour the epoxy resin mixture around it or just to put this object on level getting stiff and press on it a little. The only problem with dipped or float object is that the epoxy resin mixture is rising up on its sides. Therefore I push the mixture away from the sides of the object before it gets stiff. 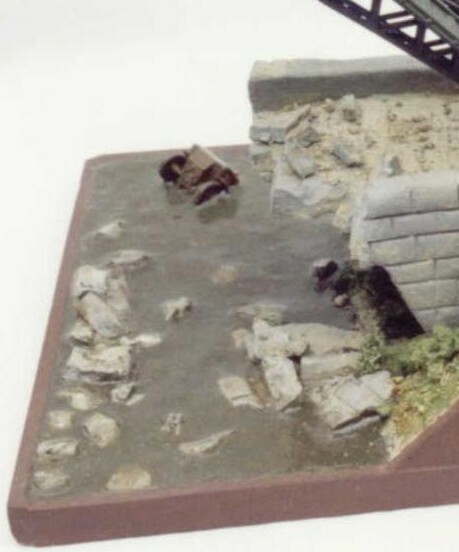 It’s really not simple to create the perfect imitation of water but for example the diorama with sea looks great. Isn’t it?